Growth is king in today’s public markets. Most of the SaaS IPOs we’ve analyzed have traded growth for profitability and they have been rewarded handsomely for it. For the large tech companies, this trend is no different. The public market prizes growth. Some public tech companies sustain growth through internal efforts, but many use their cash reserves to acquire fast-growing startups. 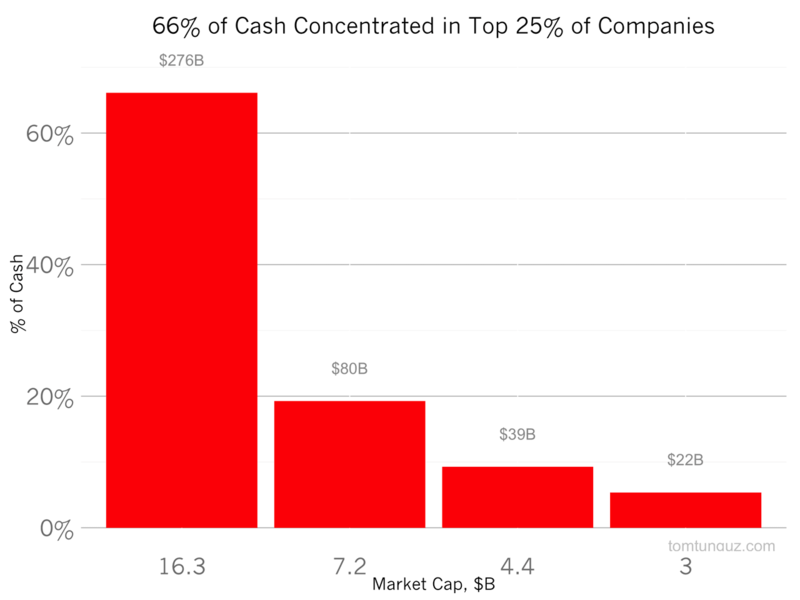 These public market cash reserves total $430B or so across the top 250 or so public tech companies, a massive war chest that will fuel startup M&A in 2015. 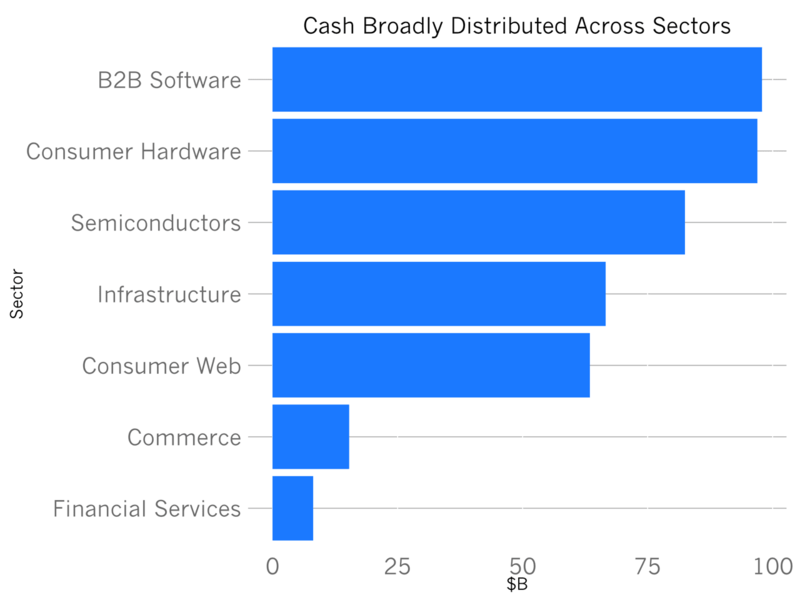 Let’s break down this cash by sector: as the chart above shows, B2B software and Consumer Hardware companies each posses about $100B. Semiconductor, Infrastructure and Consumer Web companies’ cash reserves total more than $65B each. In short, there’s a lot of capital available across sectors. Public companies use cash for many different things including share buybacks, investments in their own businesses, insurance, working capital and so on. But the sheer scale of cash on the balance sheets of IT companies, and the huge pressures from the public market for growth, indicates that there should be plenty of startup M&A activity across many sectors in 2015.